Humid funk out there, but we’re keeping cool. 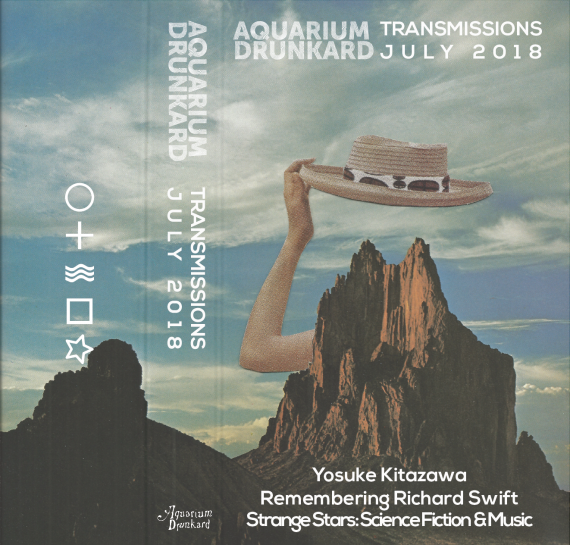 You are tuned into the July edition of the Aquarium Drunkard Transmissions podcast, our monthly series of interviews, features, and audio esoterica. 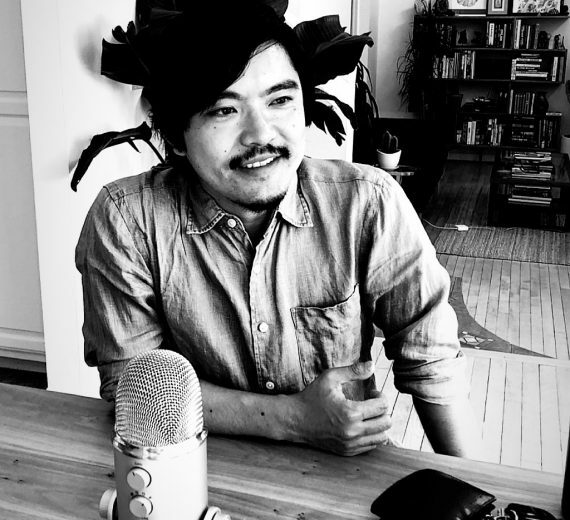 On this episode, Justin Gage sits down with crate digger and producer Yosuke Kitazawa, to discuss Light in the Attic Records’ Japan Archival reissue series, which kicked off last year with the essential rock/folk/and pop compilation Even a Tree Can Shed Tears, picks up next month with a grip of Haruomi Honsono reissues, and will eventually feature Japanese new age, AOR, ambient, and electronic music. Then, we crack the spine on author Jason Heller’s new book, Strange Stars: David Bowie, Pop Music, and the Decade Sci-Fi Exploded. Focusing on the 1970s, Heller explores the myriad ways science fiction influenced music across genre lines, from the rock of David Bowie to the cosmic jazz of Sun Ra, and examines the changing ways we continue to conceive our ideas about “the future.” But first, Gage and co-host Jason P. Woodbury sit down to reflect on the passing of Richard Swift. A prolific producer and sideman–known for his work with Damien Jurado, the Shins, the Black Keys/Dan Auerbach, Laetitia Sadier, Foxygen, David Bazan, the Pretenders, Starflyer 59, Kevin Morby, and countless more–Swift also proved himself one of the most idiosyncratic voices in indie rock on his own solo LPs for Secretly Canadian. Recorded at the beginning of the month, just after the news of his passing had broken, the talk focuses on his legacy, history, of course, his songs. Last year, Los Angeles-based label Light in the Attic issued the first installment in its sprawling Japan Archive series, Even a Tree Can Shed Tears: Japanese Folk & Rock 1969-1973. “In compiling these artists, the compilation shares the output of a national scene and time, as well as the struggles and triumphs of a generation that forged its own identity and opened their collective minds, and culture, to new forms of expression,” wrote our own Ben Kramer, reviewing the set. The compilation signaled the start of an ambitious project spanning the music of Japan, featuring everything from Japanese rock & roll to new age. For this episode of the podcast, Justin sat down with producer Yosuke Kitazawa to discuss what’s still to come. 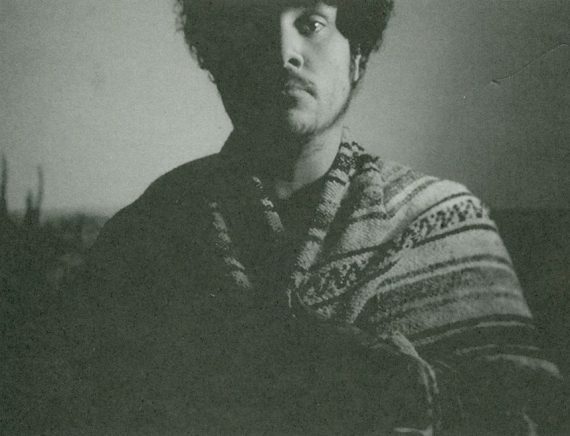 Early in July, word broke that producer, songwriter, and sideman Richard Swift had passed. A beloved musician and artist, Swift’s history with Aquarium Drunkard is extensive. In addition to posting his collection of covers with Damien Jurado, Other People’s Songs, here on the site, Swift was responsible for one of our all-time favorite mixes, Playing Dumb, sourced from 45s at his National Freedom studios. Swift was an American original, and we’re deeply saddened by his loss. On the off-chance you’re unfamiliar, we put together a playlist featuring some of our favorite cuts from his solo work, Richard Swift: Try To Write a Book Each Time I Speak. In addition to this talk, it’s our tribute to Swift. Godspeed, Dickie. Author Jason Heller exists with one foot in science fiction, one in the world of music. In his new book, Strange Stars: David Bowie, Pop Music, and the Decade Sci-Fi Exploded, he unites them. 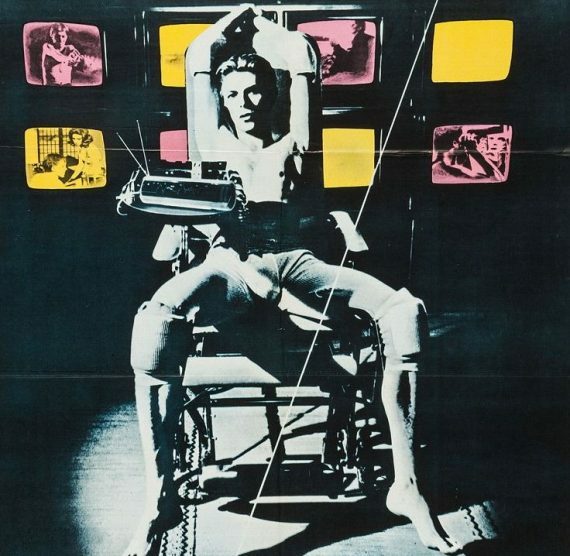 Focusing on the 1970s and featuring a wide cast of characters including David Bowie, Samuel Delany, Sun Ra, George Clinton, Hawkwind, Michael Moorcock, Michael Jackson, and dozens and dozens more, the book posits that science fiction helped give musicians a framework for some of their most forward ideas. The stars looked very different, and the continue to shine in fascinating ways. If you enjoyed our show, please feel free rate and review on Apple Podcasts. Even better? You can personally tell a friend to check it out – by sharing the show via Spotify, Stitcher, MixCloud, or the TuneIn app. As always, tune into the weekly two-hour show on SIRIUS/XMU, channel 35, which can now be heard every Wednesday at 7pm PST with encore broadcasts on-demand via the SIRIUS/XM app. Follow AD on Facebook, Twitter, Instagram, and Tumblr. Collage image by Michael J. Hentz. Dig into the podcast archives, which include in-depth looks at the Voyager Golden Record and the Jesus People psychedelia movement, Laraaji’s new age public access show Celestrana, how Numero Group revitalized the natural sound series Environments for the app age, and how Art Bell’s late night conspiracy theories on Coast to Coast AM influenced broadcasters all over the world. We’ve recently resurrected the bi-monthly Aquarium Drunkard email newsletter. Every two weeks, get interviews, mixtapes, cultural ephemera, and more delivered straight to your inbox. Sign up to receive it, here.